In the heart of stylish Kensington, 1 Lexham Gardens has a 24-hour front desk and modern rooms with free Wi-Fi. The hotel is situated just off the Museum Mile, a 5-minute walk from Earl's Court. The Strand Aparthotel offers self-catering apartments and hotel rooms on the Sliema waterfront at Marsamxett harbour, with spectacular views of Valletta. Offering a range of luxurious accommodation south of Hyde Park, the Queen's Gate Apartments are a 10-minute walk from the Royal Albert Hall. South Kensington Underground Station is 5 minutes' walk away. These modern London studios and flats are close to Baker Street, Regents Park and Marylebone Station. Each has a fully equipped kitchen and a stylish decor. 146 Suites is walking distance from Marble Arch, Oxford Circus and the West End. The chic, contemporary aparthotel of 196 Bishopsgate is situated in London's financial district across the road from Liverpool Street Station and one mile from the Tower of London, Tate Modern and the River Thames. This five floor property features 48 fashionably furnished, serviced apartments, all of which include satellite TV, CD players, clock radios, DVD players, Internet ports, and kitchenettes with hobs, microwaves and fridges. These modern North London studios are just 0.2 miles from West Hampstead Tube and Rail Stations. With stylish décor and free internet, guests also have a fully equipped kitchenette. New in 2010, 27 Paddington is in the centre of London, just 250 metres from Paddington Railway Station. 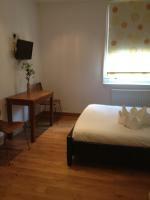 The en suite rooms have modern decor, air conditioning and free Wi-Fi. The 27 Paddington Hotel is within easy reach of many London attractions. 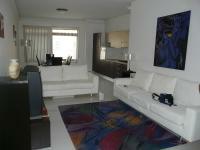 3 Bedroom Luxury Apartment is a 10-minute walk from Marsaskala beach, and offers free use of a USB internet key. This air-conditioned accommodation features a balcony, a computer and a washing machine.